A marriage proposal is a uniquely personal thing. Some couples love the idea of a big declaration of love - from a public flash mob involving a group of people singing your name on a main street or even dropping to one knee on The Late Late Show's Valentine's special! Others imagine something more intimate - a subtle "well do you wana?" over breakfast or a winding conversation on a Sunday stroll ending in the presentation of one ring to rule them all... Whatever your preference, all proposals are special. 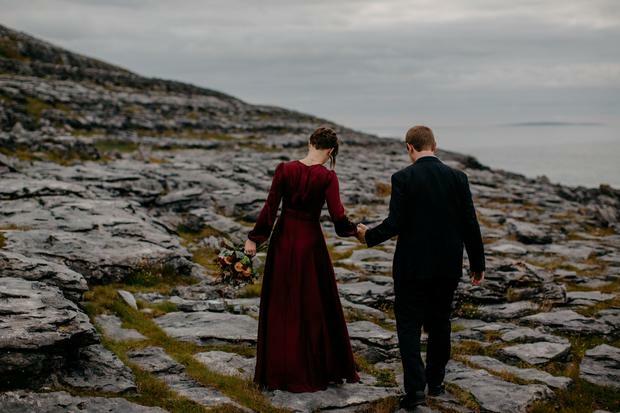 "I was mortified and told him to get up and sit down before saying yes to him!" 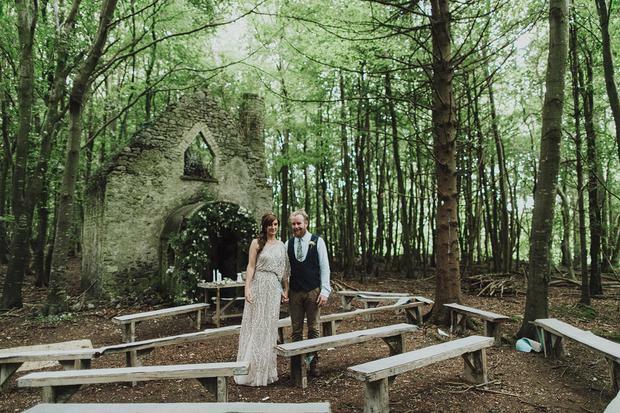 Katie, from Dunshaughlin, Co. Meath, tied the knot with Jeff from small village called Laggan in NSW Australia in Macreddin Chapel on the grounds of Brooklodge & Macreddin Village, Aughrim, Co. Wicklow last august. Jeff popped the question on a holiday in Sydney. "We had lived together in Sydney together for five years before returning to Ireland in 2014 so we know the hot spots in Sydney! We went back to Australia in March 2016 for a holiday to visit Jeff’s family. During this holiday we spent four nights in Sydney where we visited our old stamping grounds. Jeff surprised me one night in a little Italian restaurant in the Rocks, Sydney by getting down on his knee & asking me to marry him (11 years after we first got together), I was mortified and told him to get up and sit down before saying yes to him! " 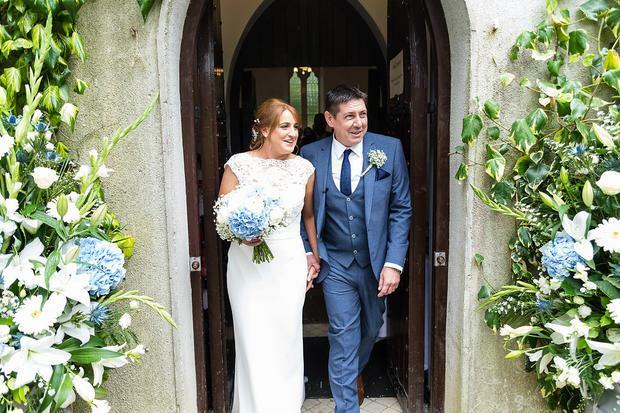 "As I looked across he went to stand up and it suddenly dawned on me what he was doing"
Roise (fada over o) Brannick O Cillin from Galway and Aidan Cuddy from Mayo echanged vows in the forest surrounding Killyon Manor in County Meath. The couple got engaged in Mulligan's, a place they'd spent many date nights before. Aidan tried to get down on one knee but was stopped before he got the chance. "I had just finished the first year of my postgraduate diploma in psychology. Aidan suggested we go to dinner in Mulligan’s to celebrate. We had spent the day together until Aidan told me he had to do a work errand across town and hoped to be back on time for dinner. I thought this to be strange and responded in a slightly impatient tone saying was there any point in going to dinner then. Aidan returned and he appeared slightly anxious and quiet, since it was celebrations I thought this to be odd. "We sat down at the restaurant and it was always such a happy place for us because we met there, and had numerous dates there afterwards. I scanned the menu which I was so familiar with. As I did so Aidan began to ask me questions like ‘ Is there anything you would change about us? I said of course not I love everything about us’ as I looked across I could see his eyes were dilated and there were beads of sweat on his brow.He then said ‘are you happy’ and I said ‘I'm so happy’. At that point he said ‘Well I think I could make you happier’ and as I looked across he went to stand up and it suddenly dawned on me what he was doing. I then grabbed him and said ‘No no no no’ and he sat back down and said ‘will you marry me’ and I said ‘yes yes yes’. He then took out the ring and put it on my finger and we kissed. I told him at that point it was enough for me to know that he would have kneeled down in front of everyone in the restaurant to show his love for me." 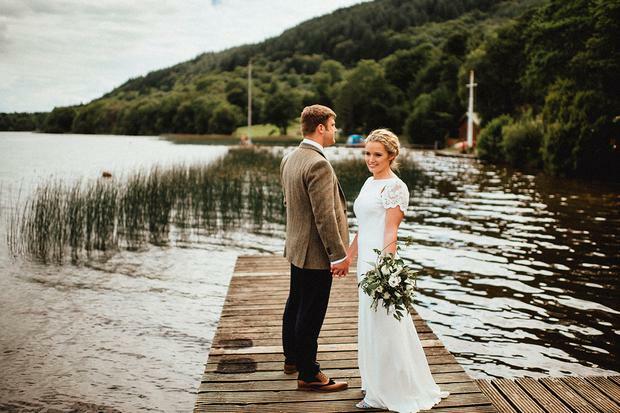 "We took a little wooden gondola down the river and John got down on one knee"
John and Eva from Dublin tied the knot in Killester Church before heading to Bellinter House in Navan for their wedding reception. They got engaged on a trip to Vietnam. "We had a lovely day on a cooking class followed by dinner and cocktails in Hoi An. That evening we took a little wooden gondola down the river and John got down on one knee. It really was very sweet." 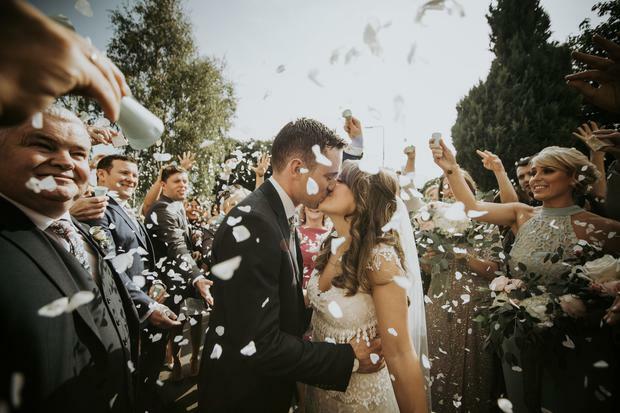 "John had prepared some champagne, snacks and music"
John from Monaghan and flight attendant Karie from the Philippines said 'I do' at Cabra Castle. 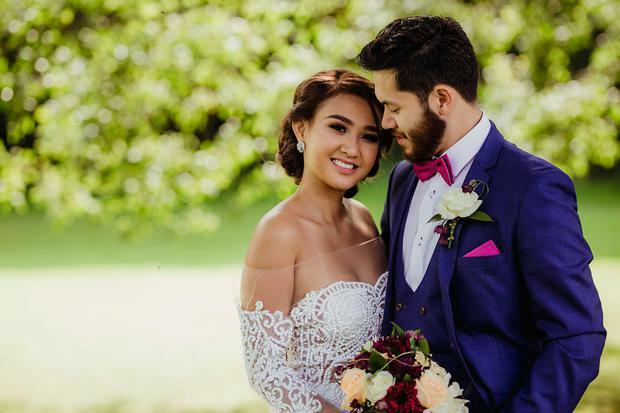 Their romantic engagement at the bride's home in Mindanao was captured by the groom when he set up a camera during a picnic. "Since I worked as a flight attendant unfortunately we missed that New Year'S Eve together. Instead we had planned to go on a four day trip to Mindanao in the Philippines. On January 2nd we were on Cagwait Beach watching the stars. John had prepared some champagne, snacks and music while relaxing. He unexpectedly asked that we do a funny back to back pose, and so set up the camera and tripod for the photo. I knew something was up and so I turned around from posing, and there was John down on one knee ready to propose to me. I said 'Yes' right away of course!" "He chickened out as there were lots of people around"
Paul, from Wexford, met Laura, from Antrim at a mutual friend's house party when they were both in university in Edinburgh. The couple got engaged by a lake in Northumberland. "We got engaged in Northumberland at Cragside Estate Gardens by the lake. He was going to do it on the bridges of Newcastle but chickened out as there were lots of people around. The following day he took me to Northumberland and proposed on one knee (which he scratched on the way down!)." 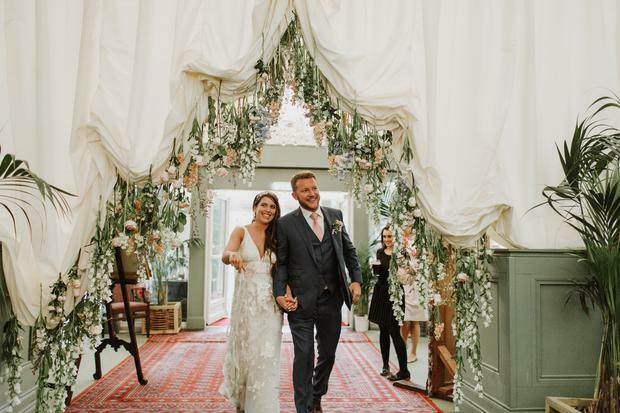 "I just couldn’t wait more and decided to do it at Christmas "
Tanya and Igor met at a mutual friend's dinner party in Cavan when Tanya impressed Igor with a delicious dish. They were together fir seven years and had two children together before Igor popped the question. "We were both working on long shifts, even though we lived together, we didn’t have common days off and didn’t plan to go on holidays. I was always thinking how to make the occasion. I just couldn’t wait more and decided to do it at Christmas which was just one day of that year when were both off. I took her by surprise and she couldn’t say no, it was an amazing moment." 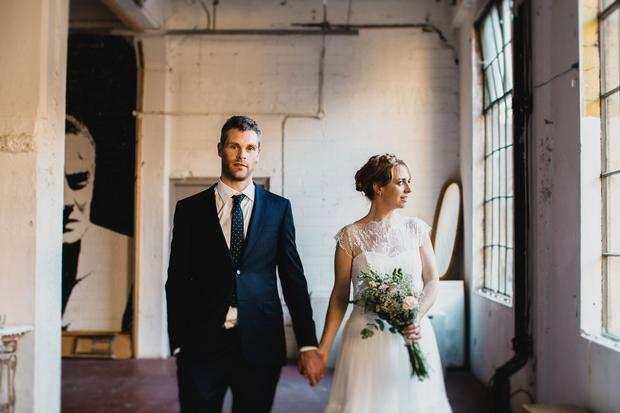 "In our apartment, just before bed - quiet and private and perfect"
Siobhan and Oscar tied the knot in a stunning DIY wedding in the Chocolate Factory in Dublin. They met in The Vaults bar, then under Connolly Station and he popped the question before a trip to Germany. "We were heading to Berlin for a couple of days and the night before Oscar proposed to me in our apartment, just before bed, quiet and private and perfect. The poor guy had been carrying the ring around for quite some time and everytime he planned to propose something would happen that would get in the way…thankfully he didn’t give up!" 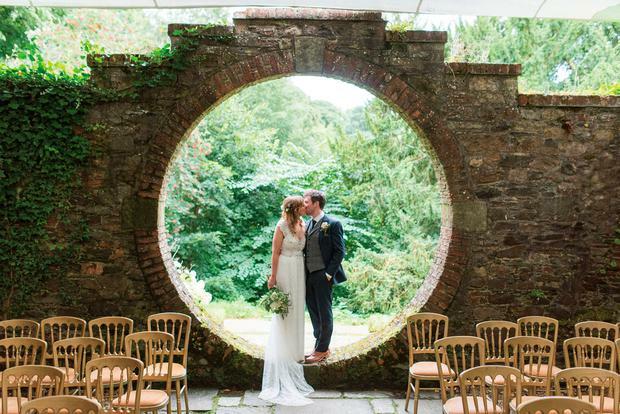 "I was in total shock"
Meghann, from Myrtle Ivory, married her fiance in August. He took her completely by surprise when he asked her to marry him one day while they were both home. 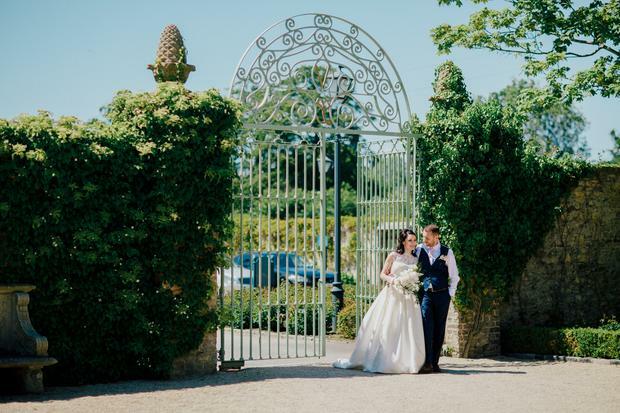 "We got engaged in our home in Malahide. It was a total surprise. I don't think I said yes for a good bit, I was in total shock. Then my parents and my brothers and sister and Darragh's parents and sister came over afterwards to help us celebrate in style." "Justin proposed with cue cards like in Love Actually"
"One of our favorite films is Love Actually. Our first kiss was while watching this movie, and we made a tradition of watching it every New Year’s Eve. One year while we were watching it at home, Justin proposed with cue cards just as Andrew Lincoln professed his love for Keira Knightley." Aideen, from Ennis in Co. Clare, and Jonny, from Huddersfield in Yorkshire, met at a mutual friend’s birthday weekend in North Wales in 2012. Jonny popped the question while they were on holiday in the south of France. "Jonny proposed at a private lodge in the Cevennes mountains, South France June 2016. Jonny attempted to show his man skills by lighting a good fire to set the mood. It took a while! I hate surprises and still can't get my head around how he managed to plan it without me knowing."